Are Frosted or Wet Windows a Bad Sign? When you’re looking for property in Smyrna during the winter, you might notice that some houses, depending upon the temperature, have more frosty or steamed up windows than others. This doesn’t necessarily mean that there’s an issue with the property, but it could. Here’s what you might want to look for at a property where you notice the windows are frosted or steamed to a degree that seems unusual to you. Anywhere you see a window that is frosted or steamed means that there is enough water vapor in the air to condense on the window. If you think about it, you’ve probably seen this effect in one room more than any other: the bathroom. While a somewhat elevated level of humidity in a house is really nothing to worry about—and it can be nice in drier weather—it’s important whether or not the cause of that humidity is obvious. In a bathroom, the causes are obvious, but any room with a high level of humidity is getting that water vapor from somewhere, and it’s worth noting if there’s no clear source. The condensation or, if it’s freezing out, ice that collects on your window shouldn’t be a problem unless it’s excessive, in which case all the hazards that go along with having moisture on paint and other surfaces apply. Over time, the excess water could rot wood, or cause other damage that might entail an expensive repair. Again, when there is no obvious cause for the high levels of humidity, take that as a warning sign. It could mean there’s a leaking pipe behind a wall, or another problematic source of humidity that’s causing the frost and steam. One of the most important reasons to use a Realtor when buying or selling property is that the Realtor can help you avoid missing a serious problem that, eventually, requires a very expensive repair. Realtors are aware of how to avoid these types of problems and ensure that the homes they help buy and sell are inspected so that both parties know the real condition of the property before they make any deals. 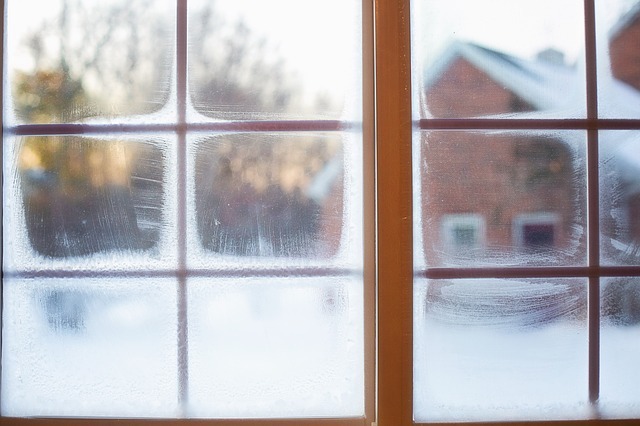 Steamed and frosted windows, and other minor quirks, can mean more than it might seem at first blush, so be sure you have a Realtor to guide you in inspecting any Smyrna property in which you’re interested.